In early 2008, lawyers from the greater Sacramento region including Davis and Yuba City formed the South Asian Bar Association of Sacramento (SABA of Sacramento). It is the 25th chapter of the North American South Asian Bar Association, which has chapters throughout the United States and Canada. 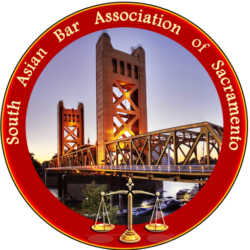 SABA of Sacramento promotes the professional advancement of attorneys and law students of South Asian descent and helps serve the legal needs of the South Asian community in the greater Sacramento region. The term South Asian includes people from India, Pakistan, Bangladesh, Nepal, and Sri Lanka, among others.